I was 15 when I started smoking, and so were most of my friends. We smoked to rebel against our parents. Because the prissy kids do it. Because cigarettes were both forbidden and easy to get: 10 quarters in a cigarette vending machine, which you could still find in most pizza joints and doughnut shops in suburban New Jersey in the early 1990s. All of that — the appeal, the access, the illicitness of cigarettes — was by design. By the time my friends and I were born, cigarette-makers had stitched their products into the fabric of our culture so thoroughly that not even a century’s worth of research tying those products to an array of slow, painful deaths was enough to deter many of us. Tobacco companies made cigarettes a diet tool and a matter of high fashion. Most people who don’t start smoking by the end of adolescence never will. The cigarette makers knew that. They used cartoon camels, pictures of Santa Claus and larger-than-life cowboys in their ads. Their key ingredient was highly addictive. When concerns emerged about nicotine dependence, cancer and heart disease, they kept regulators at bay by playing up scientific uncertainty. Then they bought off scientists and disguised corporate propaganda as independent research. By the time their deceptions were exposed, a new generation of smokers — promising billions of dollars in industry revenue — was hooked. In the late 1990s, Big Tobacco was finally brought to account for its practices, and a string of public health policies were put in place that over the past three decades have all but eliminated the scourge of teen smoking. But many of us who became tobacco consumers at 13, 14, 15 remain so at 39, 40, 41. And in recent years, we have watched history repeat itself. The tobacco industry is pushing a new kind of smoking device — the e-cig or vape pen — that it says is far healthier than traditional cigarettes: no tobacco, no tar, just nicotine and flavoured vapour. These devices, the industry says, will finally help us adult smokers quit or curb our habit. But here’s the rub: E-cigs have brought smoking back into vogue for teenagers. As a result, the cost of this new cure may be another generation exposed to the same addiction we are still fighting. Tobacco remains the leading cause of preventable death. Smoking kills some 480,000 people a year — more than Aids, car accidents, illegal drugs and suicide combined — and costs $170 billion (Dh624.4 billion) in annual health care expenditures, according to the US Centres for Disease Control and Prevention. E-cig makers say, and some health experts believe, that e-cigs could help lower these terrible numbers, because they contain far fewer toxins than traditional tobacco cigarettes. The thinking goes that if all current smokers switched to these devices, the burden of disease and death could be dramatically cut. Few have been more captivated by this argument than Scott Gottlieb, departing commissioner of the Food and Drug Administration, the federal agency responsible for regulating tobacco and nicotine products. Since he assumed his role at the agency two years ago, Gottlieb has tried to strike a balance between encouraging adult smokers to switch to e-cigs and keeping the devices away from minors. Children and teenagers face disproportionate risk from smoking, in part because nicotine is known to harm the developing brain. In 2016, the FDA prohibited the sale of e-cigs to minors, and issued a string of new regulatory requirements for vaping devices. Then, under Gottlieb’s tenure, the agency extended the deadline for meeting those requirements by several years, while also announcing plans to curb the nicotine content of regular cigarettes. That plan backfired last year, when teen vaping reached epidemic proportions. Gottlieb has since tried to put the industry in check by, among other things, forcing e-cig makers to devise plans for keeping their products away from kids and issuing thousands of warning letters to retailers caught selling nicotine products to minors. E-cig makers have responded to that pressure with a bait-and-switch that would make their Big Tobacco predecessors proud. Juul, the company most responsible for the surge in teen vaping, scrubbed its Facebook and Instagram accounts and agreed to dramatically restrict sales of its most youth-friendly flavours, like mango, creme and fruit. But the company also received a $12.8 billion minority investment in December from tobacco giant Altria, a move that will allow Juul products to be displayed alongside regular cigarettes in the nation’s brick-and-mortar retail outlets. For its part, Altria volunteered to withdraw all its flavoured-pod products from the market until the youth vaping epidemic was resolved. Gottlieb’s boldest anti-smoking efforts, which include reducing nicotine levels and banning menthol flavours in traditional cigarettes, are still in the planning stages. It’s unclear whether his successor will shepherd them into policy. In the meantime, according to Reuters, a slew of Juul copycats are making their way into convenience stores in defiance of an FDA rule banning the sale of new e-cig products after August 2016. Juul is promoting itself as a health-conscious company, even as it develops new, potentially more addictive vaping products. And Philip Morris International has created a non-profit — the Foundation for a Smoke-Free World — through which it has tried to partner with the World Health Organisation. The foundation’s stated goal is to reduce the global health burden of cigarette use. But according to tobacco industry watchdogs, leaked PMI documents suggest that its true aim is to promote the company’s own vaping products. None of this should come as a surprise. The tobacco industry was built around a product that is inherently dangerous and unhealthy. And it has a long history of duplicity. 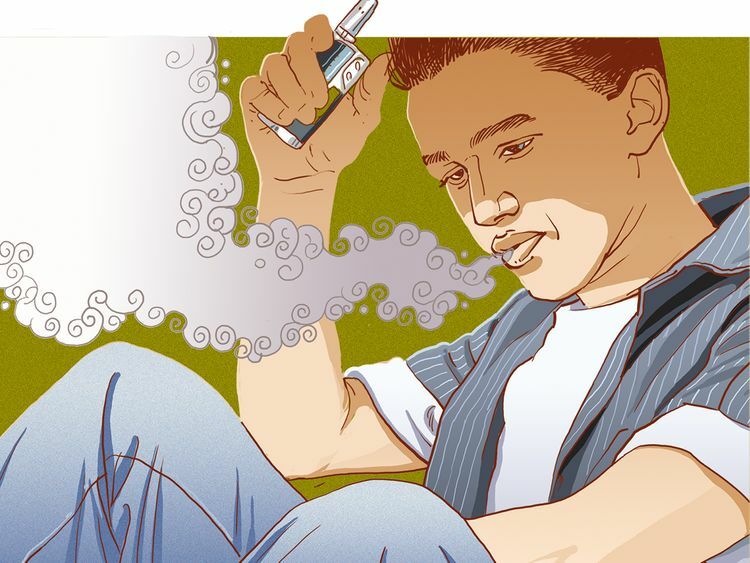 There are still many unanswered efficacy and safety questions about e-cigs. It’s unclear how well they work as a smoking cessation tool. And while they are almost certainly safer than regular cigarettes, they are not necessarily safe. Jeneen Interlandi is a noted columnist who writes about health, science and education.